OPEN Access Consulting has appointed Jayne Hurrell (née Pooley) in the newly created role of Director of Global Value Communications. Speaking of her new appointment, Jayne commented, “I am excited to join the talented team at OPEN Access Consulting as we evolve and grow our global value communications offering. While the importance of value demonstration has long been acknowledged, diminishing healthcare budgets and increasing market access hurdles mean that the need for a well-supported, compelling value proposition has never been greater. Working in partnership with the other OPEN Health businesses allows us to offer the full spectrum of activities required to successfully commercialise a product in this challenging environment, from stakeholder mapping and engagement through evidence generation to communication of value”. 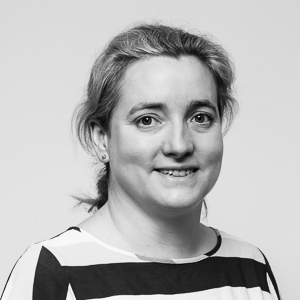 Jayne joins OPEN Access Consulting and the OPEN Health Group from Evidera, where she worked for over 10 years, most recently as Vice President and EU Practice Lead, Market Access Communications. In this role, Jayne oversaw the team’s market access communications offering, supporting clients in the development of value communications materials with the payer as the ultimate end audience, including core value dossiers, payer-focused objection handlers, stand-alone payer value propositions and local HTA submissions. With a background in medical writing, Jayne combines strategic expertise and insights into the payer perspective with a focus on high-quality outputs that provide compelling value messages underpinned by the best available supporting evidence. For more information about OPEN Access Consulting (An OPEN Health company), please visit their website, or to speak with Jayne, please contact Emily Chow onEmilyChow@openhealth.co.uk. Our office hours are Monday through Friday 9.00-5.30pm.